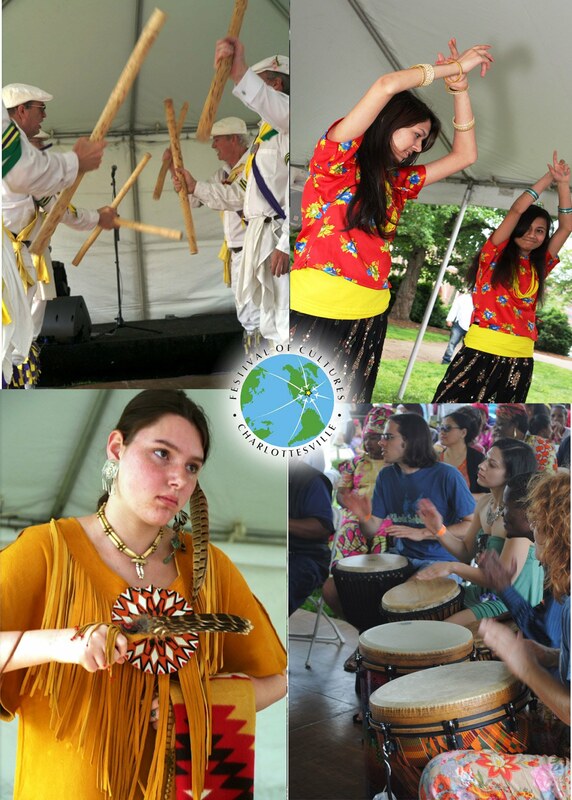 (Charlottesville, VA) – The Festival of Cultures returns this May with music, crafts, food, exhibits and more. Led by the Thomas Jefferson Adult and Career Education (TJACE) Program at PVCC, the long-running festival will be held on Saturday, May 11, 2019, from 10 a.m. until 4 p.m., at the Booker T. Washington Park in Charlottesville. The Festival offers a wide variety of entertainment for all ages. From music and dance to songs and storytelling, attendees will have the opportunity to participate in hands-on cultural crafts activities, visit cultural exhibits and explore artisans’ works. Free photo portraits will be available and food vendors will be on-site offering delicious and diverse cuisine options. New this year is an oral history studio that gives immigrants the opportunity to record their stories. This professional sound studio is provided by WTJU FM in partnership with WCVE News. Providing a welcome this year is Charlottesville resident Khizr Khan, Pakistani American immigrant and author of the memoir "An American Family: A Memoir of Hope and Sacrifice" and "This is Our Constitution." “We encourage individuals and families to join us on May 11 to learn about the rich cultures we have right here in our backyard. The Festival is truly a celebration of what makes the Charlottesville area unique, and an opportunity to learn about our neighbors from around the world,” said Zakira Beasley, Festival of Cultures coordinator. In its 16th year, the festival’s mission is to celebrate the cultural and linguistic diversity in the Charlottesville community and increase awareness and bridge communication between new residents and current community members. The Festival of Cultures supported in part by Aetna Better Health of Virginia, the Community Idea Stations, Charlottesville Sister Cities Commission, Charlottesville Family Publications, Dominion Energy, the City of Charlottesville, University of Virginia’s Office of the Vice President and Chief Officer for Diversity and Equity, WTJU FM and Virginia Tent Rental. This event is free and open to the public. 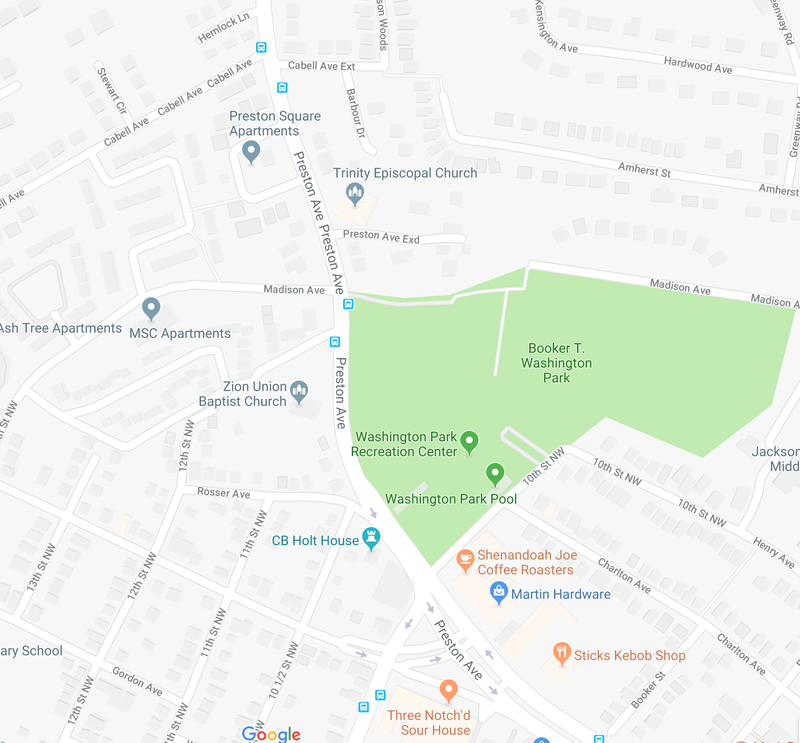 Free parking is available in the park near the intersection of Preston Avenue and Madison Avenue and behind Burley Middle School on Rose Hill Drive. For people needing assistance additional parking is available in the park’s swimming pool lot. For more information, visit www.festivalofcultures.org or contact Zakira Beasley at zakira@festivalofcultures.org. Saturday April 22 is the date this year, just three weeks before the Festival, and a great opportunity to walk (or ride) in the parade with us. Last year we decorated a truck and several of our elders enjoyed the ride, along with dozens walking and carrying flags. We have a volunteer with a small truck this year, and could benefit from a larger truck and even a flatbed. Let us know if you would like to help decorate, walk, or drive! 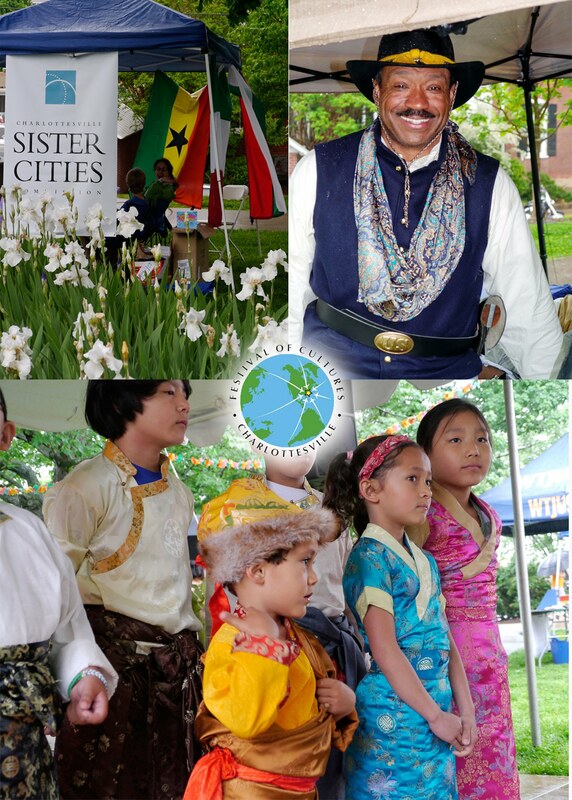 Come on out this Saturday, May 14th for the 13th Annual Festival of Cultures. This is a FREE community event in Downtown Charlottesville. There is a full performance schedule planned from 10am to 4pm on the stage at Lee Park. 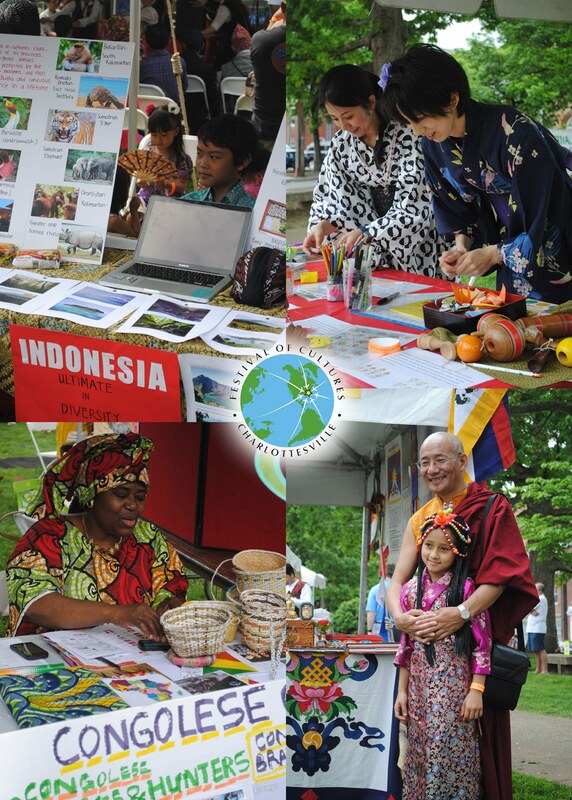 Enjoy a meal from a selection of eight international food vendors—browse the cultural exhibits representing 17 different countries—learn about available community resources from 22 area service agencies. Send your kids to the crafts tent and participate in a FREE drum workshop in "the Garage" from 1-2pm. Bring your family and friends. All Day—All Fun! Rain or Shine.